There’s a guy in Illinois who’s a farmer. He farms 5,000 acres of corn and soybeans over several areas. He is responsible for all of the business decisions for the operation, including which varieties to plant, when to sell what he harvests and for how much. His tractors and combines are huge machines. They are equipped with laptop computers and the latest GPS technology. As part of his income, he sells seed and cattle equipment to other farmers. He sits on the board of directors for a statewide farm organization, often traveling to meetings and conventions and providing input on the operation of County Farm Bureaus in his district. During busy times, he hires outside employees to help get the job done around the farm. How can that be, when everything about the first farmer appears to describe a factory farm? The answer is simple—the term ‘factory farm’ doesn’t mean anything. It’s a term used by activists to make people assume facts not in evidence. They know you’ll hear or read the term and assume it means something bad. But do you know what they mean? Do they mean a farm over a certain size? If so, what is that size? A hundred acres? Five hundred? Is it a farm that raises animals for meat, instead of just milk, eggs and companionship? A farm that plants biotech crops? Is it a farm that makes a certain amount of money? Does it have to be all of the above—or just any one of the above? Activists would have you believe that because someone farms a large number of acres or raises a lot of animals, he does a bad job; he endangers the environment and mistreats his animals. Not true. 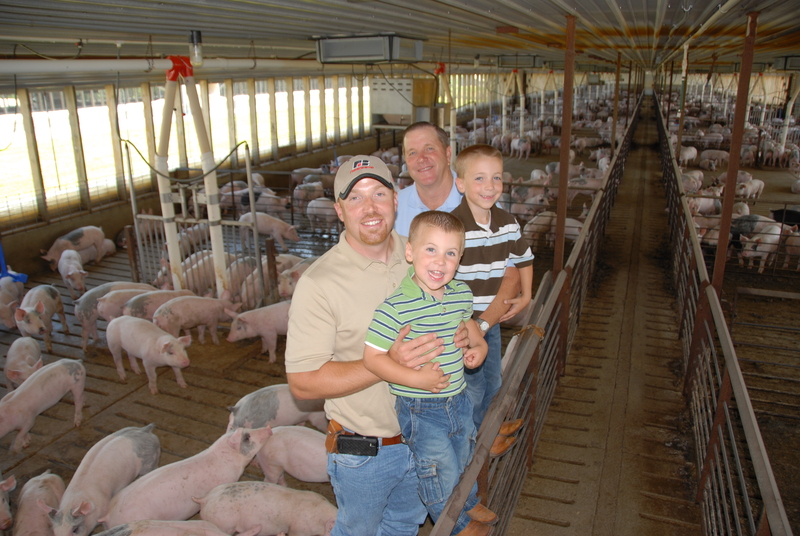 Quality assurance programs, regulations and inspection programs keep farmers accountable. And when someone tells you that America is being over-run by “factory farms,” know that 94% of the farms in Illinois are family farms. Beware of labels. They can be misleading, vague and even meaningless. The above post was drafted by the Illinois Farm Bureau originally for their blog, Standing Out in a Field.